Just last year, U.S. News & World Report ranked Cincinnati in the top 50 best places to live in the Unites States. With Over-the-Rhine’s rising reputation as a hotspot for young people and the progressive nature of downtown, more and more people are being drawn to dwell in the Queen City. Among the city’s contemporary housing options highlighted in our Downtown Living issue, however, there remains an abundance of local historic homes. 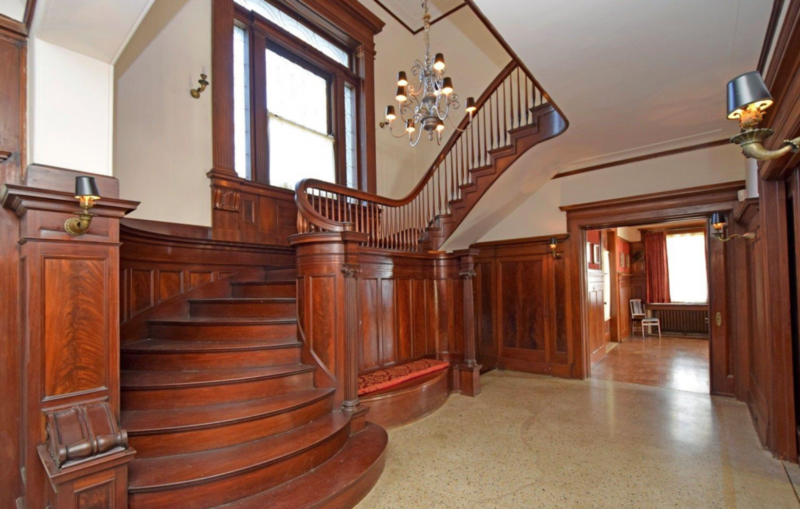 This gorgeous North Avondale home, built in the early 1900s, is just one example, offering potential buyers elegant living fit for royalty. Leland Banning, owner of a local lumber company, originally built the mansion as a stage for the exotic woods he produced. 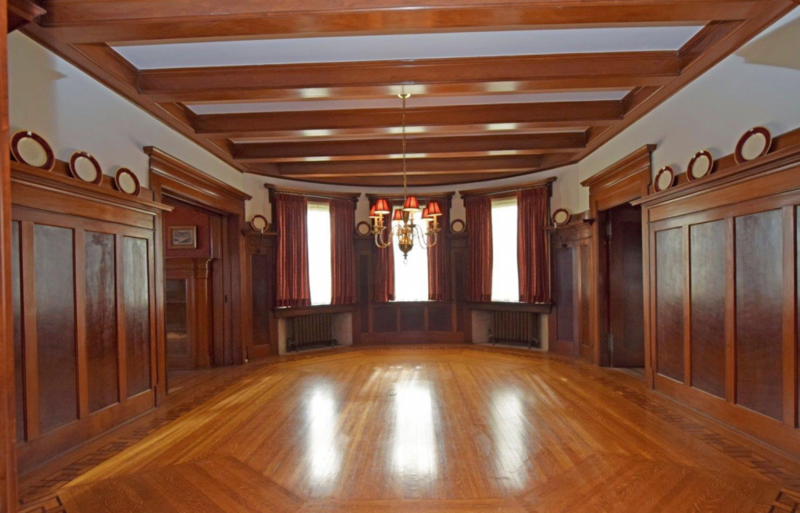 Every room in the six-bedroom home is faced with a different kind of wood, like Cuban crotch mahogany, quartered oak, and sycamore. 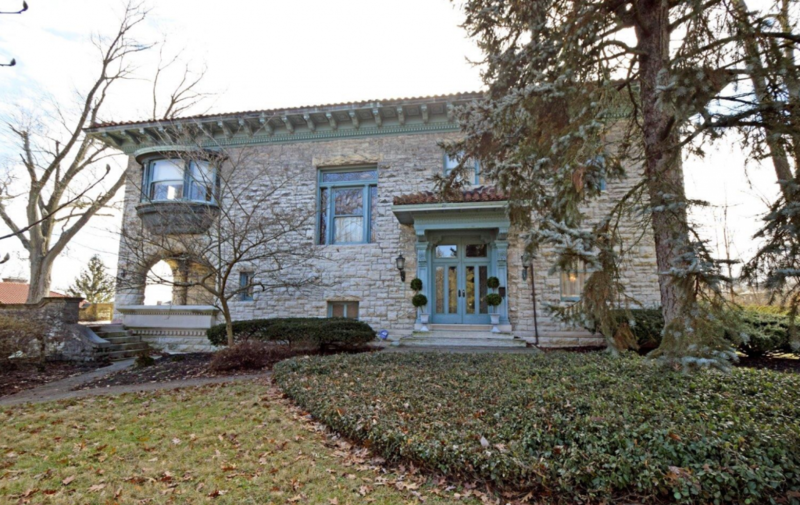 The imported stone covers the entire exterior of the home and carriage house. 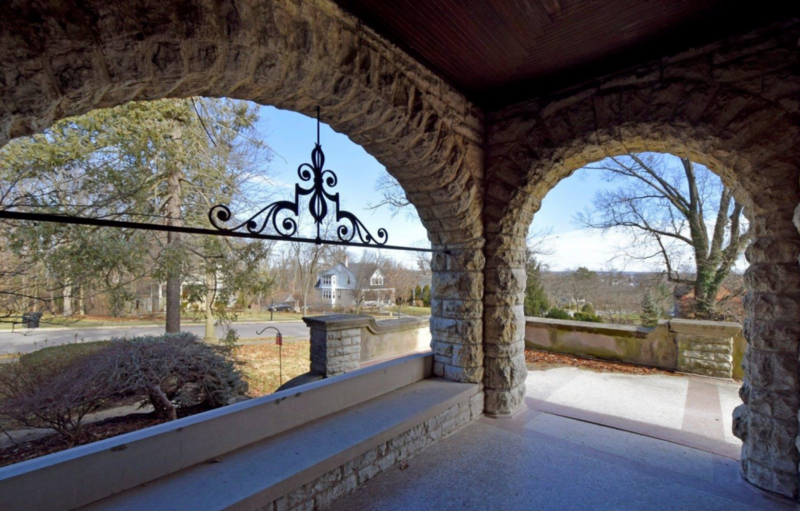 It also decorates multiple stone archways, which create a covered terrace along the home’s left side. Our favorite part? The enormous open-air patio directly above, which offers a sweet outdoor retreat just off the living room. In addition to the home’s inlaid wood flooring, the entrance hall, kitchen, and garage of the carriage house flaunt terrazzo tile flooring.